Attention local solar installers: KACO new energy just cranked up production of 3.5 and 5 kilowatt inverters, the first residential inverters manufactured in the state of Texas and the first in San Antonio. That means local solar installers can circumvent shipping fees and buy the inverters direct from the manufacturer, saving money and impacts on the environment. “It makes so much sense to support homegrown solar,” said Bradley Feuge, customer project manager for KACO, San Antonio’s homegrown solar inverter manufacturing company. KACO is one of seven new energy companies that have taken root in San Antonio since CPS Energy launched its New Energy Economy initiative back in 2011. Feuge suggested local solar installers contact KACO’s Jim Pietras at 210-625-3776 for pricing and pick-up details. Local solar industry advocates approve of the new outlet for inverters. “We’re really happy that the residential solar industry can now use local products made right here in San Antonio,” said Devon Rood, spokesperson for Solar San Antonio. Those not in the solar business may be wondering: what the heck is a solar inverter? Well, it goes back to Electricity 101. Electricity created by sunshine comes in as direct current (DC). In order to get it onto the grid and eventually to your home, that electricity must be converted to alternating current (AC). “Because the standard for power generation and transmission is Alternating Current (AC),” explains Feuge. Feuge alludes to the “War of the Currents” which took place in the 1880s. 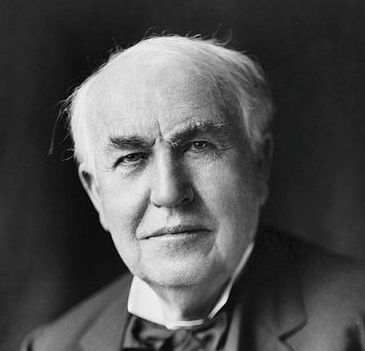 Thomas Edison and George Westinghouse waged a war of competing technologies–Edison pushing DC and Westinghouse AC–as the standards for electrical distribution. AC prevailed for one simple reason: it’s cheaper to transmit power over long distances using alternating current–from a power plant to your house, for example. However, electronics like tablets, laptops and yes, the smartphone, use DC. So while AC arrives in your home, it is soon converted back to DC to charge and power our beloved devices. Generating solar power requires photovoltaic cells which comprise solar panels, also known as modules. Those panels send DC current to the inverter, which converts it to AC current so it can move onto the grid for community use. Won’t be long, and San Antonio will claim its first homegrown solar panel manufacturing facility: Mission Solar, another CPS Energy’s new energy economy partner company. The solar company, housed at Brooks City Base, starts full scale production in September. “It’s all part of our plan to build a local solar economy,” said Cris Eugster, Executive Vice President and Chief Generation and Strategy Officer.